A Criminal Magic is a weird book. To begin with, it was a slow starter for me, as neither of the point of view characters—Joan and Alex—really grabbed my attention until two or three chapters in for each. Once I got into it, though, I kind of loved it, in spite of some rather glaring flaws. This isn’t a great book, but it’s highly readable and very entertaining with a boldly non-normative ending that establishes Lee Kelly as a talented author willing to take significant risks. Hands down the best aspect of A Criminal Magic is the magic itself. Kelly describes her characters’ magic beautifully, using wonderfully evocative language that creates clear pictures for the reader, which works really well to give the magical setting an immersive quality. When a key aspect of your novel is dealing with the effects of a magical drug on individuals, families, and society, you really have to sell the idea, and Kelly absolutely nails it. The experience of sorcerer’s shine and the magic shows put on by Joan and the other sorcerers is addictive to just read about, and it’s easy to believe in the world of the book, even if Kelly does focus on just a very small part of it. The small scope of the story can be seen as a weakness, but Kelly seems to know just how to make the most of her small cast of characters, limited geography, and very few physical settings. There’s a single-mindedness to the storytelling in A Criminal Magic that almost forces the reader to stay focused on its action. It’s not a marvel of worldbuilding, and if you think too much about things it’s easy to come up with dozens of unanswered questions about how the world of the book works. Still, Kelly consistently gives all the information one needs to understand the story she’s telling, and when she does offer glimpses of the broader world outside of what we’re more explicitly shown in the novel, those glimpses are tantalizing and suggest that the author has definitely thought through much more of her world than we are seeing. This can be frustrating at times, but not too unpleasantly so. The novel’s characters aren’t nearly so well-drawn as its setting, but there’s still quite a lot to like about them. Joan has a nice complexity to her, and I found myself charmed by her slight inclination to amorality, but I would have loved her to be more of a force of nature in the lives of others. With the exception of Alex, who basically falls for her at first sight, it didn’t always feel as if Joan made much of an impression at all on those around her. Alex is fine, though Kelly adheres a little too much for stock romantic hero tropes in writing him which makes him a little dull at times. The romance between Joan and Alex is both shallow and somewhat overwrought, and their dialogue is often hackneyed and unrealistic. There’s very little explanation for why these two characters fell so deeply in love so quickly other than that they are both beautiful—they each spend too much time thinking about how hot the other one is—and they both are sorcerers. Also, the story seems to demand a romance between them, so it happens. The secondary and tertiary characters often feel inconsequential and are sadly unmemorable, mostly also falling into stock character archetypes. Even the villains are fairly one-dimensional. The characters who aren’t Joan or Alex also have a tendency to only exist at all when they are necessary to the plot or when it’s convenient for Joan or Alex to have feelings about them. Some of this is surely a feature-not-a-bug of the alternating first person point of view. With Alex and Joan each telling their own story, and both of them being somewhat self-centered people, the other characters are bound to fade into the background. Unfortunately, this means that characters like Joan’s family, Joan’s friend Grace, and Alex’s contact in the Prohibition Unit are more like plot devices than anything else. Joan’s relationship with Grace is particularly disappointing in this regard. It’s not uncommon for women in romance novels to not have close female friends, and it seems early on that Grace and Joan’s friendship is going to be important, but Grace barely appears in the second half of the book and the good groundwork laid early on for their friendship never does quite pay off. 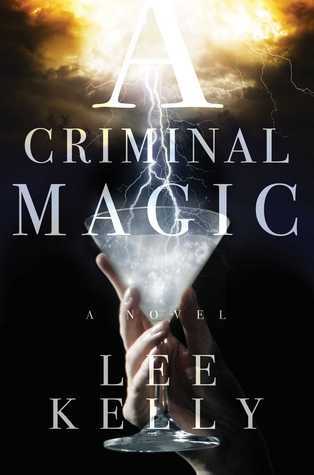 While I haven’t seen it mentioned that much in reviews, it seems to me that the ending of A Criminal Magic ought to be the most polarizing aspect of the book for a lot of readers. I can’t decide if it’s a genius upending of conventions that sensibly rejects the pat ending of an ordinary romance novel or if it’s just bizarre to have the novel’s heroine metamorphose into a straight up femme fatale practically out of nowhere because I’m, frankly, not at all certain that Joan’s decision was earned. Sure, it was surprising, but not in an altogether good way. It’s a feminist statement, of sorts, but it’s a slightly garbled one. It’s a brave and unusual ending, but it feels oddly tacked on, coming at the end of a book that, while original, doesn’t exactly break a lot of new ground. Regardless, though, it’s thought-provoking, and the fact that I’m still thinking about it weeks after finishing the book says something about its power. I’m just not entirely sure what that something is.